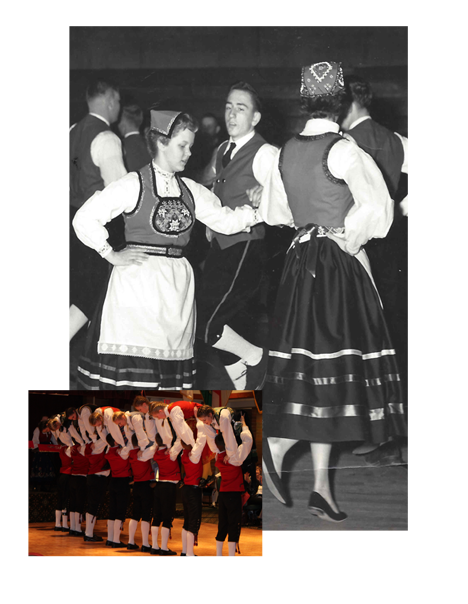 Become A Stoughton Norwegian Dancer! The Norwegian Dancers endeavor to entertain, culturally enlighten and instruct audiences with respect to traditional Scandinavian folk dance and authentic Norwegian bunads (costumes). The group is made up of Stoughton High School School Sophomores, Juniors and Seniors and every Spring goes on tour, bringing their authentic dance, humor and fun to audiences across the United States. The Stoughton Norwegian Dancers practice year round and perform approximately 60 times every school year from October through May. This year's 2018-2019 Stoughton Dancer's are in full swing! Please check out this year's calendar at upcoming performances! 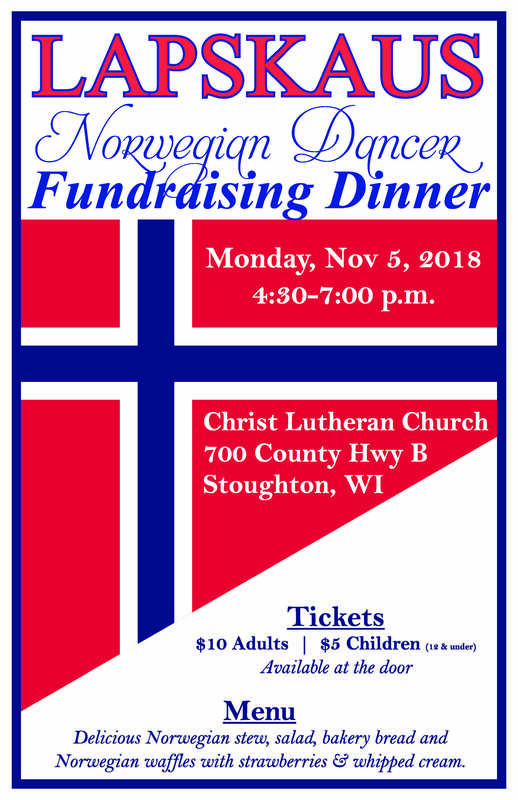 On Sunday February 10th, 2019, the internationally known Stoughton Norwegian Dancers will present their annual Norse Afternoon of Fun. The performance will begin at 1:30 p.m. in the Stoughton High School gymnasium located at 600 Lincoln Avenue, Stoughton WI. This annual event is the Norwegian's answer to cabin fever. The combination of colorful Norwegian costumes, rousing music and exuberant ethnic folk dancing produces the necessary elements to relieve the "winter blues". Audience members are encouraged to wear their national costumes to truly make this an international event. Children who are under the age of 10 who are dressed in their national or Norwegian costume will receive free admission. In the spring of 1953 Ms. Reek, a phy ed teacher for the district, selected six junior girls and told them to find six boys for a folk dance group that would go public for the upcoming Phy Ed demonstration. The group was accompanied by a single accordion player. And so the dancers began. Click here to read more. The Stoughton Norwegian Dancers entertain audiences of all ages from 2 to 102. The Scandinavian dances are complexly choreographed and full of fun, humor and gymnastics and the live music brings joy to all who listen. Click here for more information. Thank you for your interest in the Stoughton High School Norwegian Dancers. We love hearing from alumni and friends. Please contact the Dancer Director, Staci Heimsoth, with questions or comments that you might have. 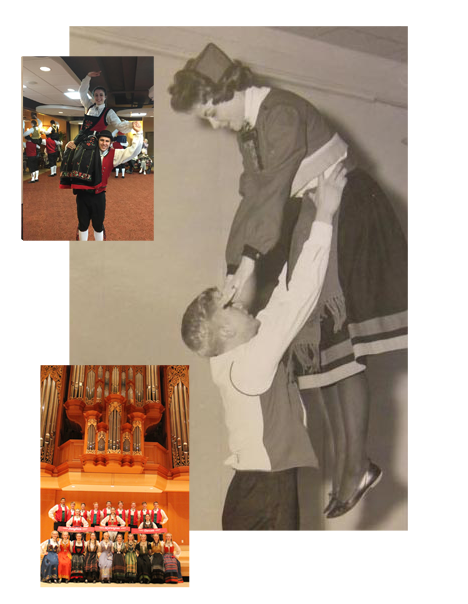 If you have a female bunad or shoes to donate or sell please contact Liz Nelson at dlem4nelsons@gmail.com.